WestJet Airlines Ltd. today announced that its common voting and variable voting shares will trade under a single ticker on the Toronto Stock Exchange (“TSX”) effective as of February 18, 2016. 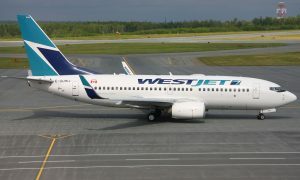 WestJet’s common voting shares currently trade on the TSX under the symbol ‘WJA’ and bear CUSIP number 960410207. The airline’s variable voting shares currently trade on the TSX under the symbol ‘WJA.A’ and bear CUSIP number 960410306. As of February 18, 2016, each of the common voting and variable voting shares will trade on the TSX under a single ticker designated ‘WJA’, will bear CUSIP number 960410504 and will be designated for purposes of trading on the TSX and reporting in brokerage accounts under the single designation of “Variable Voting and Common Voting Shares” of WestJet. This change, which will allow the demand and liquidity for both classes of shares on the TSX to be consolidated under a single ticker, is designed to improve the liquidity for the variable voting shares which have historically had lower trading volumes. The trading of WestJet common voting and variable voting shares under a single ticker is limited primarily to the administration of trading of the WestJet shares on the TSX. This change does not involve any amendment to WestJet’s articles of incorporation, by-laws or share capital structure, nor the terms and conditions or the voting and ownership restrictions applicable to the common voting and variable voting shares. 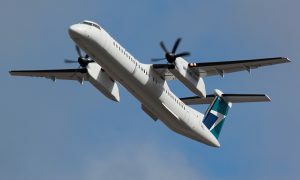 Pursuant to WestJet’s articles of incorporation, the variable voting shares may only be held and controlled by non-Canadians, and the common voting shares may only be held and controlled by Canadians, and each class is automatically assigned based on the Canadian or non-Canadian status of their holder. If a non-Canadian acquires WestJet shares on the TSX, such holder will automatically be assigned variable voting shares. Similarly, if a Canadian acquires WestJet shares on the TSX, such holder will automatically be assigned common voting shares. The combination of trading under a single ticker on the TSX will not result in any changes to the voting procedures currently adopted by WestJet for purposes of shareholder meetings, and any shareholder who wishes to vote at a WestJet shareholder meeting (either by proxy or by attending the meeting in person) will continue to be required to complete a declaration respecting their Canadian status in order to enable WestJet to comply with the requirements of the Canada Transportation Act and WestJet’s articles, by-laws and internal policies. In addition to declarations obtained for the purposes of voting at shareholder meetings, through periodic surveys of its beneficial shareholders conducted by its transfer agent, WestJet will continue to regularly monitor the number of its shares beneficially held and controlled by Canadians which represent common voting shares and the number of its shares beneficially held or controlled by non-Canadians which represent variable voting shares.